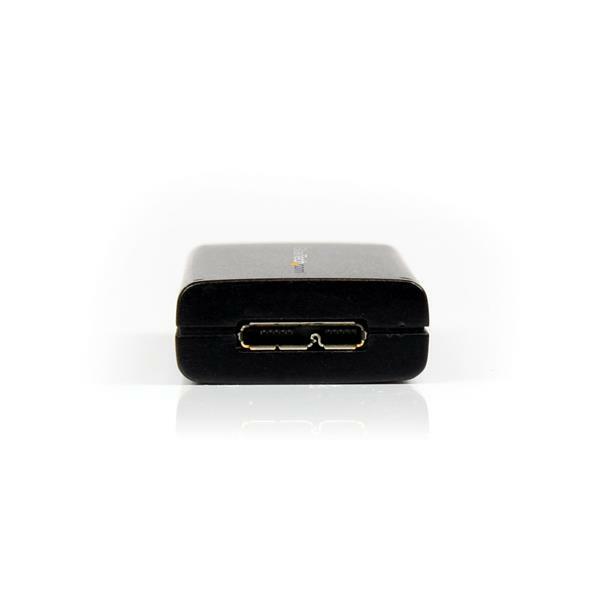 The USB 3.0 DisplayPort adapter is USB-Powered device, making it easy to add additional graphical capability to your system, without opening the case or voiding system warranties or having to find an available wall power outlet. (2 stars) When it works, it's a decent business solution. As expected, not a solution for gaming at all. Business users needing an additional display can faithfully use this product...until it dies. Which it will. Lead-free BGA solder on the two main chips in the product will eventually stop working. Reflow attempts haven't worked for me so recycling it was it's ultimate demise. When are vendors going to stop using this known faulty method for assembly of their products to cause eventual failure _just_ past the warranty expiration date? Thanks for sharing this feedback with us. We're very sorry that our USB video adapter failed and we'd be happy to look into this situation closer. 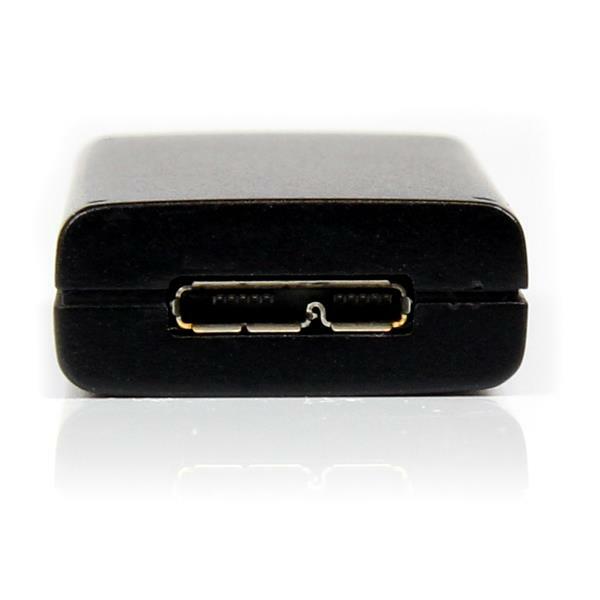 This video adapter has a very low failure rate and as a result they typically last well beyond the warranty period. Please locate a copy of your invoice and reach out to us directly. We have free, 24 hour support from Monday to Friday. You can call us toll-free at 1-800-265-1844 or chat live with us at StarTech.com/Chat. I own a 15" Macboook with 10.9.2 installed. I connected the device via a USB 3.0 port, downloaded the drivers (it's not PnP), and the image came right up after a restart. I noticed the peformance issue the second my mouse hit the second monitor... it mouse does not move as smooth in my second monitor as it does in my main monitor. Dragging a window around and the issue becomes more obvious... the window moves in a choppy manner while on the second monitor, and there's a slight lag which is annoying considering I spent $100 on this device and $329 on an LED IPS monitor. The resolution on my monitor is 1920x1200.. I tried lowering the resolution but that did not help. I found the same exact problem after an easy install, using the device to connect a 2560x1440 Dell monitor to my new 12" Macbook (early 2015). Did you find any resolutions? Very annoying to spend ~$100 on the device and cables, only to have the resolution problem fixed and the performance unbearable. Will probably have to switch back to 1080p resolution with VGA adapter. 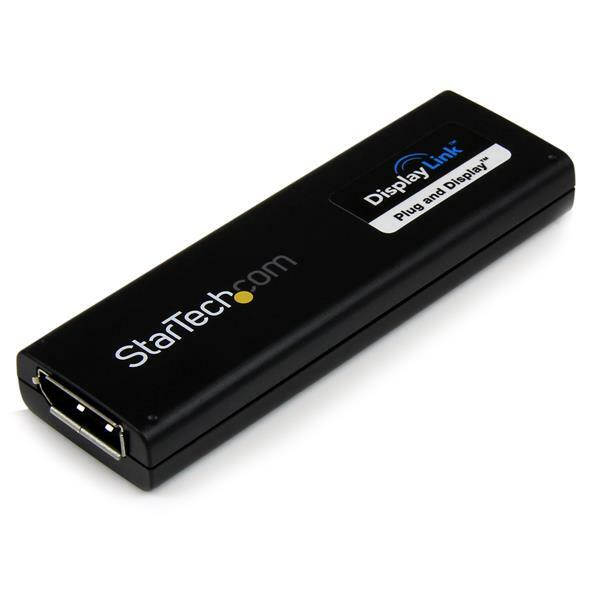 (5 stars) Excellent performance, fantastic product!! 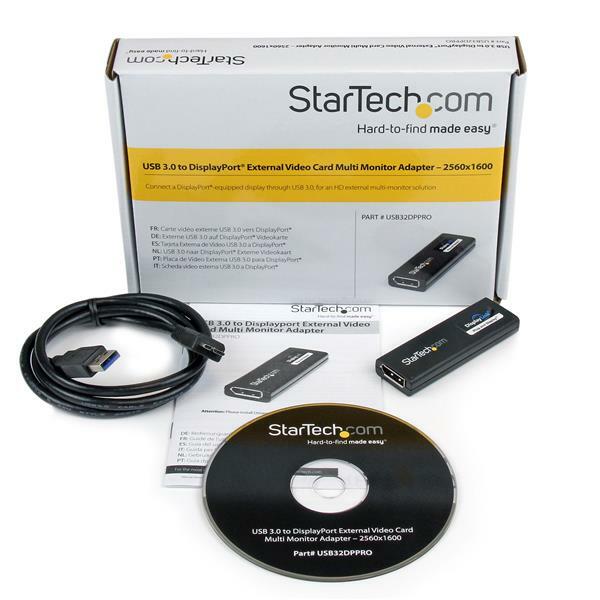 I don't typically write reviews for products, but have had such a positive experience with this product, and received unparalleled customer service from StarTech, that I had to write one- especially as this item hadn't been reviewed yet. After struggling to get 1440P out of a Toshiba laptop HDMI port, spending countless hours troubleshooting, and on the phone with engineers, I came across this device, and thought I'd try it. Wish I had saved myself the time and trouble, and just ordered this from day one! The unit is physically much smaller than I was expecting, and I had it up and running within three minutes of opening the box. As per the detailed instructions, install the driver first, reboot, then plug in the device and your DisplayPort monitor. I am using the product through a USB3.0 port, running 1440P, and the image quality and performance are spectacular. I do not notice any increase in CPU cycles, or video lag. I am running 1440P HD video, and the video is fluid and flawless. I do not run games, so cannot comment about ultra high refresh rates, or performance with USB2.0 ports, but for office/productivity users that are looking to add a second or even third high resolution display, this tiny device is perfect. I will not hesitate to purchase another one when I add a second 1440/1600P monitor. Great to hear the USB32DPPRO is working well for you, thanks for letting us know. You're definitely right -- this adapter is well suited to office/productivity applications; with regards to gaming, an external video adapter isn't really a good option.